YPO's social entreprise networks corporate responsibility award winners are recognized at an awards ceremony in Barcelona. Pictured (left to right) are: Thomas Darden of Cherokee Investment Partners, Marc Lubner of MaAfrika Tikkun, and Dennis Overton of Ikirezi. It’s great to see a shift from shareholders to stakeholders, with companies focused on the triple bottom line of people, planet and profits. The Social Enterprise Networks of YPO (Young Presidents’ Organization) announced the winners of the 2010 Corporate Social Responsibility Award, recognizing YPO members and graduates for their contributions toward making a difference through their companies and charitable organizations. Awardees were recognized in the categories of Economic Justice/Community Impact, Leadership, Employee Impact, Sustainability, and Philanthropic/Non-Profit Organization. YPO’s Social Enterprise Networks connect members through their shared interests in community, philanthropic and humanitarian endeavors. Pick ‘n Pay supermarket chain is one of the first companies in South Africa invited to join the Clinton Global Initiative. The company’s broad-based programs include assisting small farmers build capacity, a mentoring program pairing retired executives with farmers, green initiatives, and the development of a franchise model encouraging collaboration between communities, local food suppliers and retailers. Cherokee Investment Partners is a private equity firm that has acquired more than 525 hazardous locations around the world and restored them to productive use. The company’s philanthropic arm, Cherokee Gives Back, receives a minimum of 10 percent of Cherokee’s profits, which fund the Global Orphan Care Initiative, as well as job creation, sustainable development and education. Audette Exel heads The ISIS Group, which consists of a financial services firm that was established for the principal purpose of funding its own non-profit foundation, The ISIS Foundation. The ISIS Foundation funds and manages projects focused on health and education of mothers and children in extreme poverty in Uganda and Nepal. The ISIS Foundation specializes in residential care of children rescued from child traffickers, neo-natal care in rural Africa, and village by village deployment of alternative technology in high mountain areas. Through The ISIS Foundation and its partnerships with local community groups and NGOs in Nepal and Uganda, The ISISGroup provides support to more than 11,000 people a year. MaAfrika Tikkun is a non-profit NGO helping improve the lives of South Africa’s children by employing a holistic approach to poverty intervention that begins in early childhood and continues through young adulthood. Offering assistance for 20,000 children, MaAfrika services include youth centers, family support, and computer and literacy training. Lubner also is executive chairman of the South African Israeli Chamber of Commerce, as well as founder and executive chairman of the Smile Foundation, established with the support of former South African President Nelson Mandela, for which Lubner previously received a YPO award for philanthropy. Ikirezi works with small farmers in Rwanda to cultivate geraniums for the essential oils that are highly marketable in the U.S. and Europe. Through Overton’s leadership, Ikirezi is helping farmers become self-supporting, transforming communities, and strengthening agribusiness in Rwanda. 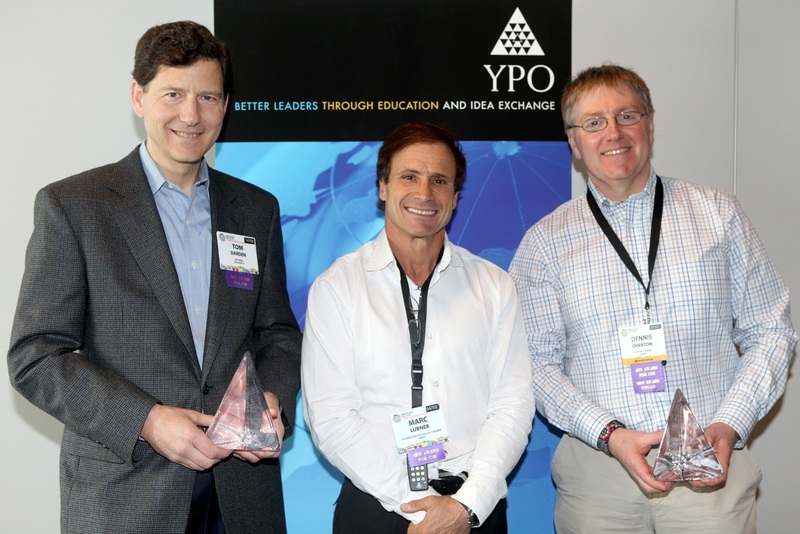 YPO (Young Presidents’ Organization) is a not-for-profit, global network of young chief executives connected around the shared mission of becoming Better Leaders Through Education and Idea ExchangeTM . Founded in 1950, YPO today provides 17,000 peers and their families in 100 countries with access to unique experiences, world-class resources, alliances with top learning institutions, and specialized Networks that help them enhance their business, community and personal leadership. For more information, visit http://www.ypo.org.